There are many chairs which look attractive. However, they’re not comfortable. 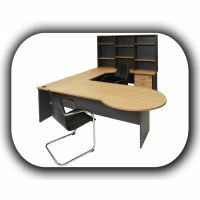 You should consider comfort of your clients, employees and yourself when selecting furniture for your office. Attractiveness is important, but this is not what your 100 percent decisions should be based on. Everyone is different. What appears comfortable for one individual might not be so for the other. For example, a desk which is perfect for a tall person might not suit a short one. You should consider your employees when purchasing new set of furniture, since because they’re going to use them every day, it’s vital that what you purchase also work for them. Buying impulsively or spontaneously may lead you to regretting your decision. Thus, you should consider how often the item is going to be utilized and whether it’s going to be ideal for long term use. When moving into a bigger office, you should consider what it’s going to need. Look also at your old furniture, and consider what your employees don’t like about them and what they’d expect in the new office. Lower priced furniture may be appealing to your budget. However, its quality might not be as perfect as the more expensive item. For instance, two chairs may look similar, and the more expensive one may last three years longer. Here, you are going to get the worth of your money by opting for the more expensive one. Various manufacturers might have similar name for a color. However, the colors might not essentially match up. You should try ordering accessory pieces from the same maker to avoid mismatches. Test before you buy. This is holds true for office furniture. You visit the store, look at various desks and sit in different chairs. Find out if the chairs you fancy may fit under the desks you equally fancy. Testing out the furniture does not consume a lot of time. It will save you a lot of money when you buy the wrong item. The above tips are quite significant when ordering new commercial furniture for the office. Always make sure that you keep in mind the comfort of your clients, employees and yourself ahead, regardless of the budget.